Lab Girl is a book about work and about love, and the mountains that can be moved when those two things come together. It is told through Jahren's remarkable stories: about the discoveries she has made in her lab, as well as her struggle to get there; about her childhood playing in her father's laboratory; about how lab work became a sanctuary for both her heart and her hands; about Bill, the brilliant, wounded man who became her loyal colleague and best friend; about their field trips - sometimes authorised, sometimes very much not - that took them from the Midwest across the USA, to Norway and to Ireland, from the pale skies of North Pole to tropical Hawaii; and about her constant striving to do and be her best, and her unswerving dedication to her life's work. Visceral, intimate, gloriously candid and sometimes extremely funny, Jahren's descriptions of her work, her intense relationship with the plants, seeds and soil she studies, and her insights on nature enliven every page of this thrilling book. 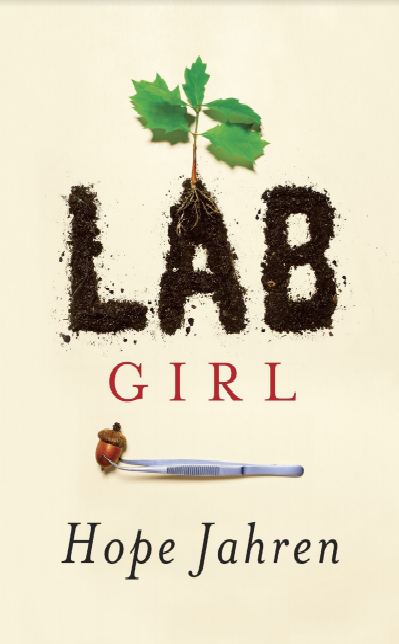 In Lab Girl, we see anew the complicated power of the natural world, and the power that can come from facing with bravery and conviction the challenge of discovering who you are.